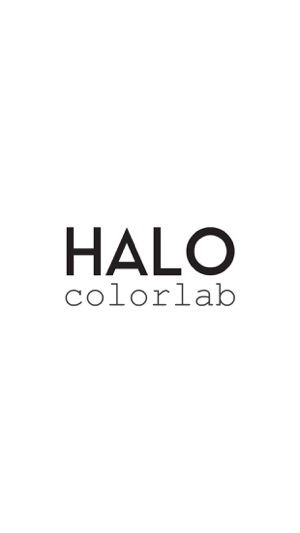 Make the world more colorful with the colors you create with HALO Colorlab. 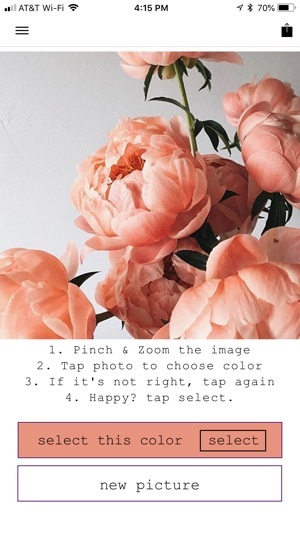 Snap a pic, tap a color, create and name your polish, order away. Boom! Millions of colors at your fingertips. 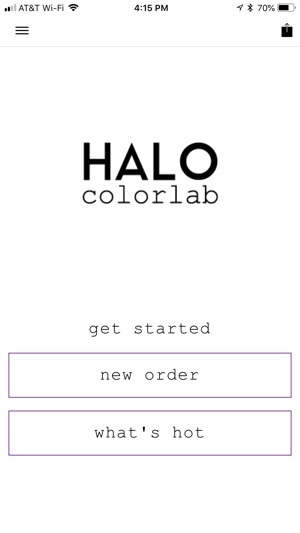 HALO colorlab is the world's first Custom Nail Polish system. Not just a handful of colors, a whole world of colors. 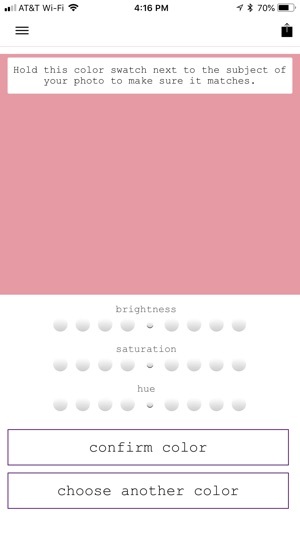 Create the colors that make you super happy! You deserve the right to express your creativity and wear the color you want, no matter what it is. We think you know best. You can have a high performance, long wear polish in an 8-Free nail polish system, where all known carcinogens and human hormone disruptors have been removed. We've had our products reviewed and analyzed. We don't test our products on animals (only on the founders) and our packaging can and should be recycled. You can create and name your polish using millions of color options, polish that is priced right with free shipping always. We stand behind our products 100% and work hard to make sure that you are happy every day. COLOR MATCH custom nail color is available in millions and millions of personalized colors. Literally the world of color at your fingertips. A unique polish system with rich, dense and true color that glides on smoothly and dries fast and hard. 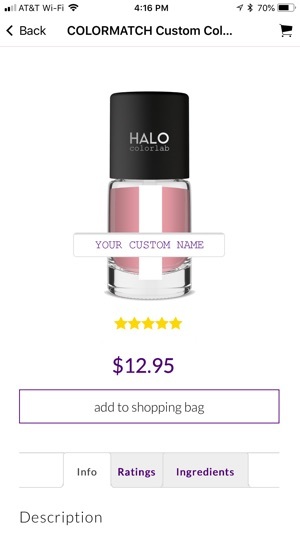 Snap a pic, tap a color, create your unique shade and name your polish name! COLOR POP base coat and brightener. Color Pop Base Coat and Brightener was developed specifically to help you make the most of your polish adventure. It’s a semi-translucent, shimmery first step that creates great adhesion and enhances longer wear. BULLETPROOF glossy top coat can really take it! Tinted to enhance your polish color, creating the longest wear possible and formulated to resist chipping. One coat = seven days of wear. Two coats = even more wear and a deeper color. Protect and create the look you want. © 2018 Halo Goods LLC. All rights reserved.